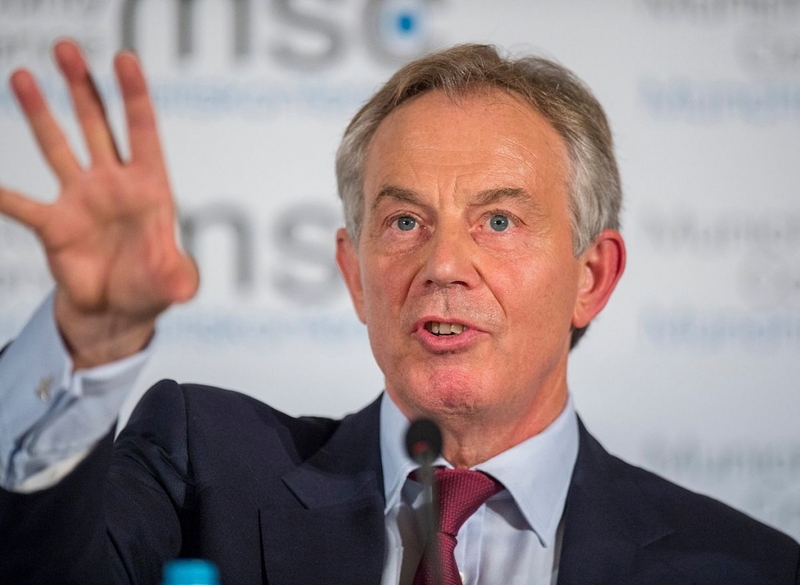 Tony Blair is back – but is there space for him? Tony Blair is back. He started to pop up during the Brexit debate and has now revealed that he plans to set up a centrist think tank and to “make more direct interventions”. It seems Labour’s most successful prime minister feels he has more to give to the British political scene. Blair has been calling for a revival of the “progressive centre or centre-left” – and it’s now clear that he no longer intends to do it from the sidelines. But is there space for him anymore? Blair does still have relevance. He was, and remains, a useful diagnostician. In the 1990s he worked out his party’s faults – an obsession with tax-and-spend, the perception that it was soft on welfare and that it would take the country back to the union dominance of the 1970s. He then moulded New Labour into a force capable of repudiating such electoral dangers in opposition before going on to deliver many of the left’s historic dreams when in office. He forged a centre ground that lasted five British election cycles between 1997-2015, freom when his party won government until the Conservatives won power in their own right. Though that world is now shifting, this is hardly a negligible achievement. So when Blair speaks, we should listen. He is correct, for example, when he says that the issue of the day is less about the tension between traditional notions of left and right and more between “open” and “closed” states. As Blair told the New Statesman: “Ok, the left is more anti-business, the right is more anti-immigrant, but they [both] tend to be protectionist”. To combat this, he argues, the “muscular centre” has to work out “what bits of the so-called liberal agenda have failed and what bits haven’t”. Let’s be clear, that doesn’t mean ending global capitalism. After all, many of the people who deride globalisation still happily drive a Toyota, eat at Nandos and watch Netflix. Likewise, the solution to greater pressure on public services in Clacton or Spalding is clearly not to limit the number of Indian students studying in London or Edinburgh. This needs a degree of sensibility and deep thought. Waving the Red Flag isn’t that, nor is an immigration policy without flexibility. But it also requires a more dynamic state than Blair himself envisaged 20 years ago. A more politically active Bank of England – as identified by Strictly’s Ed Balls – would make sense. Deficit finance to fund productive infrastructure investment, as delivered in a limited form in the most recent Autumn Statement, should no longer be the horror story the centre once saw it as. And the conditions that lead to the 2008 crash could indeed by tackled by some form of financial transaction tax, potentially allowing the British centre-left to promise less borrowing than the current government in any event. The political space for this agenda is opening up and, as the facts change – to paraphrase Keynes – so must the centre. Much of this Jeremy Corbyn, the current Labour leader, would agree with. But whether he is prepared to make the necessary trade-offs elsewhere (not raising the top rate of income tax, genuine welfare reform, not decrying all private involvement in public service delivery – and adopting a sensible foreign policy) remains to be seen. Compromise is not a dirty word – and it need not be for Corbyn. The broad centre ground encompassing Nick Clegg, Liz Kendall and Chuka Umunna has been packed full of talented figures for several years now – and newly elected Tories such as Heidi Allen also fit the bill. Winning an election has historically been about gaining political cover through give and take – and the “anti-elites” events of June to November 2016 do not completely override that rule. Corbyn has been getting better at PMQs, but more remains to be done. One way to tackle Michael Gove’s “anti-expert” world view is to go all-in on criticising other politicians in the hope the electorate will pick you as the best of a rotten bunch. The other, more adult position, is to work out areas of commonality and the routes in which they may be achieved. The centre is about compromise; there is no point hiding this from the Trumps of this world since they will hammer you on it anyway. The centre should double down on talking like grown-ups. This is true as much of identity as it is the economy. There is a sensible position on immigration and race which rejects Trumpism but also does not suggest totally open borders. As Blair argues on notions of identity, prior to Hillary Clinton’s loss many Americans felt “that the liberal left [was] unwilling to have a discussion about these things”. The centre needs to accept that, electorally, the patchwork strategy of the 1990s and early 2000s is dead. Embracing one dispossessed group at the expense of another has failed, from Ken Livingstone in London to the Democrats in Wisconsin and Michigan. The centre needs flagship policies for the majority, not merely the marginalised. And so Blair is back. He brings a considerable amount of baggage – and not every decision he took could or should be justified even by his advocates. But he brings an actual track record of carving out a new political economy. As we all work out what comes next – and what the chancers now do with the mandates they have acquired – we should at least listen to what he has to say. 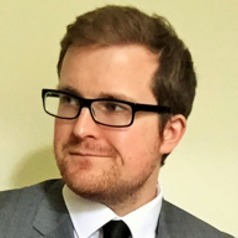 Richard Carr is a member of the Labour Party and of the Labour History Research Unit, Anglia Ruskin University.